Late last year I took part in a SLANZA Waikato/BOP tour of four amazing primary and intermediate school libraries in Auckland. I'm going to share a few photos from each of the libraries with you. First up was Fran Mes' library at Viscount School in Mangere. Fran is the Director of Learning, Library and has been featured in an Excellence in Practice video by the National Library. She teaches information literacy skills in the library and she shared this awesome House Hippo video as a way to show children that they can't believe everything they see on TV. Fran is a strong believer in not having a library timetable. This is one of two pianos! Next up was Esther Casey's library at Stonefields School, one of two libraries she manages. Stonefields opened in 2011 and has 'open modern learning environments'. I love the way Esther encourages her student authors and uses her library's website as a way to share their work. Esther's takeaway for us was to remember to link our library goals with the school charter. After lunch we visited the Library/Makerspace at Sunnyhills Primary School. We met Helen, the Teacher with Library Responsibility, who was based in the library. Helen worked closely with classroom teachers and tied her 'making' activities, like Scratch, into the classroom programme. Her Lego walls helped teach symmetry and spatial awareness. She felt that using a 3D printer should be more about the process than the product. She had students make their designs in Lego first, before going on to use the 3D printer. Our final visit was the spectacular Somerville Intermediate. It was built in the days when they gave libraries a decent amount of floor space, there were a lot of jealous librarians! I got a shock when I recognised Annemarie, the librarian, who went to the same college as me! Annemarie has different activities on each day - Cozy Corners, Kids' Lit Quiz Team, School Newspaper, Book Club and Groovy Game Day. One bonus photo just to show you the amazing "street" that the architects designed for Somerville Intermediate. The classes and the library line up on each side of the street. So many cool ideas, you need a bigger library! Love the iPad stand. 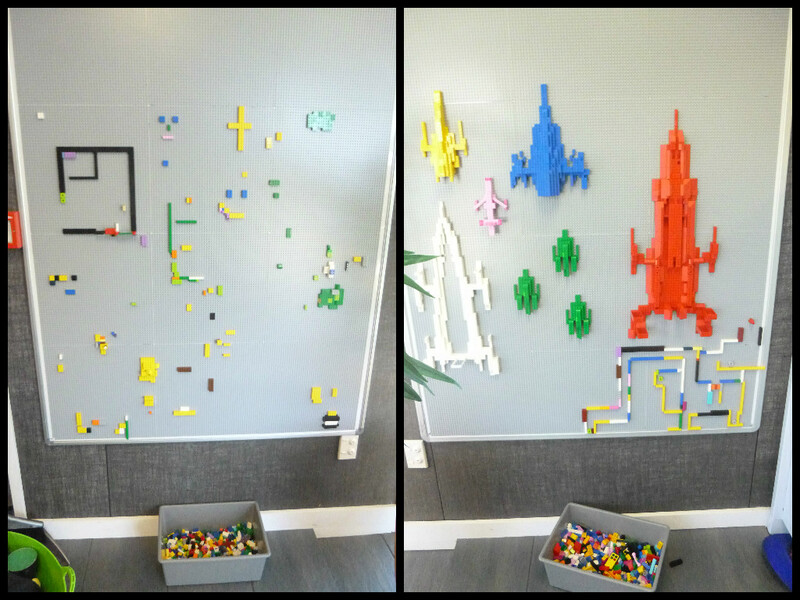 And Love Love Love the LEGO wall. Amazing ideas.... 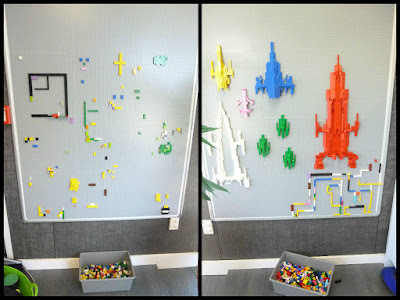 I also love the lego wall and I WANT ONE NOW!!! !